Open to ADTA members. You must register and prepay to attend. 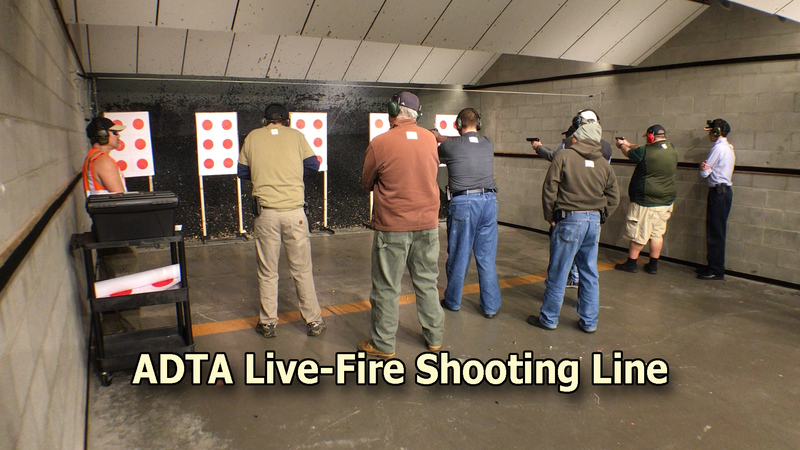 Click here to see videos from our Live-Fire Training Events! Whether you’re a new handgun owner or an experienced shooter, one of the best reasons for buying a handgun is to defend your home. Our live-fire practice scenarios include shooting on the move and shooting from cover. 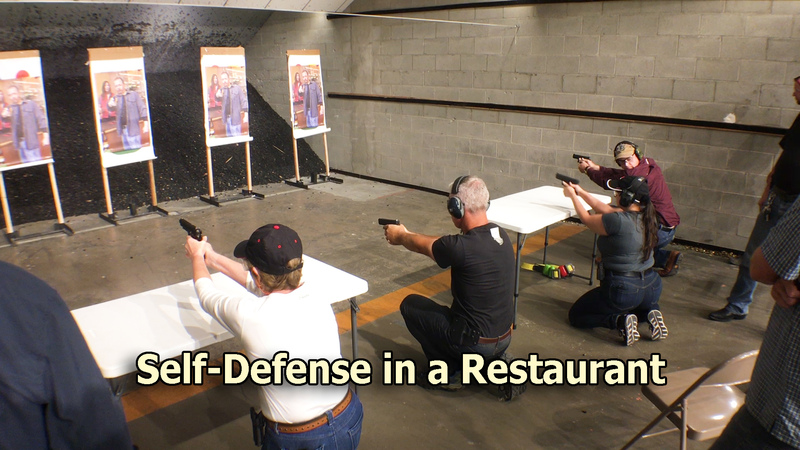 Let us help you learn the basic skills necessary to defend yourself and your loved ones at home. ADTA membership is required and may take up to seven (7) days to process a membership application, so plan ahead. Click here to start your application process. We cannot accept registrations or payment at the door for this event. In addition to your eye and ear protection, all participants need to bring their own semi-auto handgun, strong-side muzzle-down belt holster, at least two magazine belt pouches, at least two magazines, and 100 to 150 rounds of ammunition. Optional: a tactical flashlight. For more information check out our ADTA Shooter's Checklist. If you are a New Shooter 101 “Fast Track” trainee, then we will provide you with appropriate equipment as needed. If you are already a shooter and can demonstrate safe handling and shooting of your semi-auto handgun, then we welcome you to participate in this live-fire event. This protocol must be followed for everyone's safety. ADTA Range Safety Officers (RSOs) will be present to check you in at the door. If you have a CPL and normally carry, you may arrive with your firearm loaded and holstered. Event staff will direct you where and when to unload and re-holster your UNLOADED firearm at the start of the event. At the conclusion of the event, event staff will direct you to reload and holster. If you do not carry, please arrive with your firearm unloaded and cased. Event staff will direct you where and when to uncase and transfer your UNLOADED firearm to your holster.